Released at the beginning of October this probably ranks as King Khan’s best album to date. 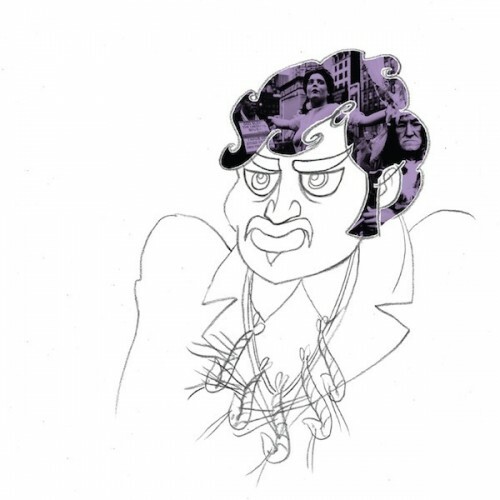 Rising to fame with tracks like ‘Welfare Bread’ and ‘I Wana be a Girl’ King Khan (real name Arish Khan) cornered a niche market for low-fi reinterpretations of a classic rock, soul and psych-rock 1970s sound. Their work with the Black Lips, who also work with a similar sound, has also lead to some brilliant collaborations under the ‘super group’ monicker The Almighty Defenders. Their sound has certainly developed on this album however, whilst retaining some of pumping Motown energy of their earlier albums. ‘Bite my Tongue’ has something of an early Van Morrison or Kinks sound to it and with a glamorous string section and thumping drum part ‘Thorn in her Pride’ feels like any number of early 70s Motown hits, Otis Redding’s version of “(I Can’t Get no) Satisfaction” certainly comes to mind. Most of all the album stands out from some of their other stuff as has a real melancholic edge to it. ‘Of Madness I Dream’ and ‘Darkness’ add a blues string to an otherwise occasionally sugary musical bow. Standing out among the blues-y numbers on Idle No More is ‘Pray for Lil’; a near immaculate soul ballad with vocals from Jena Rocker about Khan’s relationship with his wife. Idle No More is everything King Khan and the Shrines always were, with a bit more depth.